Apps created with AppStudio can be installed and run by anyone who has an internet connection. Once they are running on a device, apps can be saved locally on the device and will be available even when there is no internet connection available. AppStudio web apps are not sold in Apple's App Store. However, they can be used on any iOS device, jailbroken or not, without going through any review by Apple. They are normal HTML5 apps, and as Steve Jobs has said, "HTML5 -- it's a completely open, uncontrolled platform. And we fully support it." If you want to sell your app, there are a few strategies. Set up a web site which requires a sign on code to access the download info. Give the sign on code to people who have paid. Have a registration code input field in your program. The correct code has to be entered the first time the program is run. Use a third party web app store. It will handle billing and downloads, and give you a percentage of the revenue. Samples of such stores are OpenAppMkt and the Chrome Web Store. Make your app into a native app using PhoneGap and submit it to Apple. There is an option on the Run menu for this. For a good background into how this all works, there is a great chapter in Mark Pilgrims's book Dive Into HTML5. The chapter on Offline Apps is here. Your app needs to be deployed to a web server so that it can be loaded and run. There are several choices for web servers you can use. This is the default and will work without any extra setup. Volt can be used for testing and as a permanent location for your app, so long as you have a subscription in place. It also has a number of features which add to AppStudio's abilities. No PHP. If you are using the demo, you can only deploy to Volt. You can set up a local server on your own system. This is good for testing, but not usually very good for outside users who want to run your app. To use it, select "Deploy to a local or DropBox public folder" in Deploy Options and put the appropriate path into Local Path. This is the most powerful and permanent solution. It involves getting a website of your own with the appropriate settings. Select "Deploy to local server" or "Deploy to FTP Server" in Deploy options and fill in the Server, Path, Username and password. There are a variety of own servers that you can use, for example Microsoft WebMatrix (IIS), Apache, Nginx, GWS to mention a few. Setting Up IIS Express to serve the Offline.appcache You will do this once fortunately. Usually WebMatrix stores all your sites on the "My Documents\My Web Sites" folder of your profile. 9. Run your application, a prompt should pop up asking if you want to visit your site, click No. A folder will be created with your application files under My Documents\My Web Sites using your NSB project id. 19. Test your site if all runs well. Because a folder has already been created using your App id from AppStudio, you can also select Open > Folder in WebMatrix to open your site. With PHP installed, all your Ajax calls made within your app will execute well and you can test your application. Before distributing mobile apps, you might want to test their performance and their delivery on "virtual" devices. Whilst Microsoft WebMatrix has functionality to install and test your mobile site using virtual packs for devices, there is also MITE, available at this website link, http://www.keynote.com/solutions/monitoring/mobile-web-monitoring-scripting-tool. An important thing to remember is that you need to keep your app on the server, even after it is deployed to a device. When an app starts, it attempts to contact its original download location to see if there is an update. If there is no internet connection, the app continues normally. But if there is a connection and the app cannot be found on the server, the app is marked obsolete and is cleared from the device. The AppStudio Server clears all projects that have not been used for a while, so it is not a good place to permanently host your apps. When you deploy your app, it is transferred using passive ftp to your site. 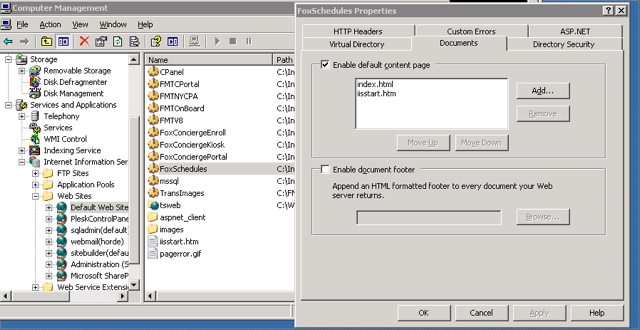 The ftp account information and directory are set in Deploy Settings. You may need to narrow the port range for passive ftp. There are a few files which need to be present in your project's directory for deployment. The Deploy option on the Run menu makes this easy: the files and folder are copied into your directory automatically. myProject.htm Your app. This is created by the IDE: the actual name of the file is set in the IDE. This needs to be a valid UNIX filename - no spaces or special characters. After being copied to the server, it is renamed index.html. LauncherIcon.png The icon for the app, set in Project Properties. This has to be in .png format, and be 114x114 pixels in size. If you don't supply a filename of your own, a default file will be used. Important! Do not change the image (or any file) in the nsb folder. SplashScreen.png Optional. Not supported on all devices. Set in Project Properties. This image is displayed when the app is started from the Home screen on the device. The image should be in .png format and be exactly 320x460 (1004x768 on iPad). If you don't supply a filename of your own, a default file will be used. If you save your app to the home screen, you will need to delete and resave it t if you want to change the splash screen. Important! Do not change the image (or any file) in the nsb folder. nsb/ Required. This directory contains all the files that AppStudio itself needs at runtime. Do not make any changes to the contents of this directory. OfflineApp.appcache This contains a list of files to be included. It is created automatically at deploy time with filenames the IDE knows about, plus any files listed in the project's manifest property. Older apps may use the suffix .manifest, but .appcache is recommended (and, in the case of DropBox, required.) See "The Manifest File". databases SQLite databases can be included with your app. Simply put the name of the database in your manifest. AppStudio will take care of encoding the data and the schema and deploying it. When the app is loaded on the device, the database will be automatically reconstituted and will be usable right away. Put the images in your project folder. It's easiest to put them in a folder called images. Do not add them to the "nsb" folder, since that folder gets wiped out during compilation. In the manifest property, put 'images'. Then all the images in that folder will be deployed with your app. The Manifest file is a file in your project directory which contains a list of all the files in your app. This file is created automatically by AppStudio. You can maintain its contents in the IDE: it is in the top level of the Project Explorer, in the property Manifest. If you want your app to run in offline mode, you need to add the names of any images, folders or other files you app requires. These files must be located in the project's directory. Make sure your web server serves up .appcache files with the MIME type text/cache-manifest, or else this won't work. For more information on doing this, see "Setting up your server for manifest files"
The manifest property should have a list of file names, one name per line. Folder names can also be included: they will automatically be expanded recursively. Subfolders are allowed. You can put most types of files that HTML can use into it. The app file, icons, background and splash screen are automatically included in the application cache. You do not need to add them to the manifest file. Remember add your image files! The manifest file can also be used to deliver updates to the files your app uses. When your app starts, it checks with the server (if available) and compares the manifest files to the one it last downloaded. If it has changed, an update is triggered. All the files in the new manifest are download and the application is restarted. This is useful if a file you are reading from a remote site may have changed. In this case, the manifest file will not have been updated. If you have everything set up, your app will actually run your device right after you deploy. Go into your browser (Safari on iOS), and enter the URL for your app. You're running as an online app right now. Its appearance will be like a web page. But if you add it to the Home Screen, an icon will be created in the Launcher and the app will look like you intended and not part of the browser. To do this in iOS, tap on the plus (+) sign at the bottom of mobile Safari and choose "Add to Home Screen". The app is now installed as an offline app, no different than any other app in the Home Screen. If you are going to distribute your app from your own server, you will have to check if it is serving the OfflineApp.appcache (or .manifest) file with the correct MIME type. To test whether your server has the correct settings, use Check Deployment in the Run menu. What's happening here is that the server needs to return the cache file back to you with the proper content type set. If you don't do this, the file will probably come back as 'text'. If set properly, it will come back with a type of 'cache-manifest'. If your webserver is hosted by an ISP you will may not be able to edit the "mime.types" file (server administrators are understandably reluctant to allow just anyone to modify their server's configuration!) If this is the case, you can usually provide a configuration file that will apply only to your personal server area. This file is named ".htaccess", and is sometimes used to control password access to portions of your website. In the root of your website directory, if it doesn't already exist create the .htaccess file and include the line "AddType text/cache-manifest .manifest" (omit the quotes). The .htaccess file will now specify the new manifest MIME type. The .htaccess file is used by Apache servers, and by some others as well. The Apache server may, as an option, ignore .htaccess files, so this technique may not work. For more information, see http://httpd.apache.org/docs/current/howto/htaccess.html and http://en.wikipedia.org/wiki/Htaccess . You will also need to add index.html to the list of names used by the default context page as follows, if it is not there already. This page was last edited on 18 April 2017, at 14:53.